And here it is! This is a picture I had been having in my head to be drawn for a long time already, and I'm so proud I managed to get Pan Hesekiel Shiroi to draw it in my sketchbook for me at Confuzzled! Wheeeee! 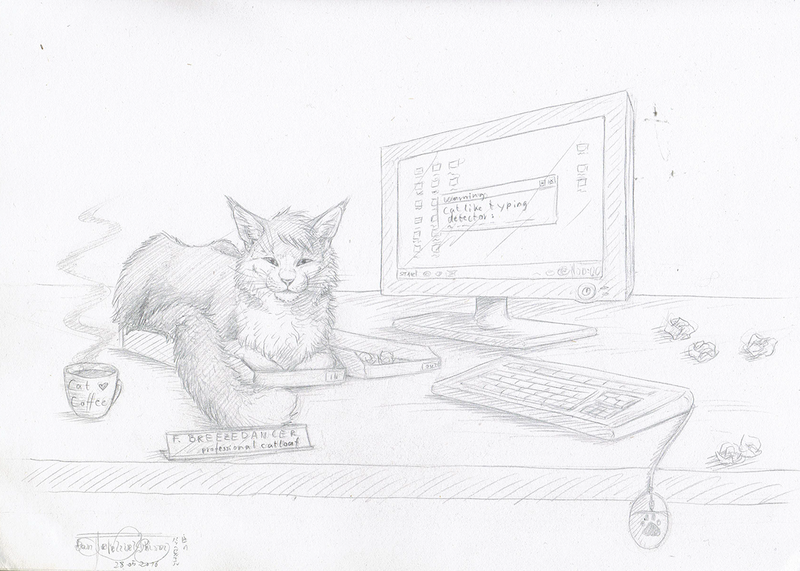 So, yeah, a bit of explanation; by now most of you already know that I tend to be a catloaf most of the time. It was a thing I started doing on F-list as a matter of fact, because it's the comfiest way to hang around in the Feral room and look around at everything going on there. The little running gag progressed into me reacting to people calling me lazy by telling them I am a professional catloaf, certificated and all, and it takes years and years and years of hard and intense and arduous training before one is allowed to call oneself a professional catloaf.